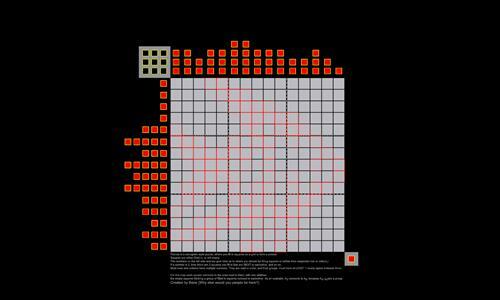 A description of what a picross puzzle is, and how this map operates is written on the map itself. Review by Daryle on 11/11/2016. Review by Tarhani on 10/20/2016. Some long distance connections are bit confusing.